We live in a technological age where our phones do so much more than just make calls. Not only can we use their apps for organisation and entertainment, for many they are also our camera. These days they are often used to record cherished memories whether it’s an impromptu snap of little ones first bite of calamari in Greece (that face! ), #SunnySelfies or Dad’s dodgy dancing at flamenco night! Your smartphone may not have the picture quality of a big camera but it’s size and the fact we have them on us most of the times means they are so much more convenient for many trips and capturing those spontaneous snaps. If you love a phone pic, then here are a few ideas on making them the best they can be! The first thing to think about is your lens. Unlike a camera which you would typically keep in a special case, your smartphone lens is more likely to get dirty. This will result in images being blurry or with unexpected marks on. Simply use a soft cloth to wipe your lens every now and then to keep it clean and ensure you’re ready to record that perfect moment, whenever it happens! Zoom is great because it helps you get up close and personal but the downside is a dramatic drop in picture quality. You are better using auto-focus to get a sharp image at whatever distance and then cropping it later to retain image quality. Smartphone flashes tend to be inferior to camera ones and are usually unable to pick out detail in very low light. This can result in red-eye or ghostly faces. Not a problem in the sunshine, but come dusk or in a mood-lit restaurant, your pics will look more grey than gorgeous. If possible, find an alternative light source to use and turn the flash off. If this isn’t an option, then a few floodlit pics will surely be enough to trigger happy memories. Whilst we would all love to get snap happy and end up with perfect pics, for most of us, it requires more consideration to get the right look. A useful trick is the ‘rule of thirds’ – suggesting you visually split your image into thirds and fit the subject you’re snapping along the imaginary lines. As an example, instead of having your children posing front and centre of the pool, try moving them to the side (a third of the way along the screen) and pretend they’re about to jump in! These fun shots can be more interesting or a beautiful backdrop with a thoughtful pose may be more effective. There are a lot of great photo editing apps (such as Afterlight and VSCO) you can use instead of the easily recognisable Instagram filters. These allow you to edit your pics by hand, alter exposure and contrast as well as apply interesting filters. You can also use apps such as Photoshop Express or Snapseed to enhance images and changes parts of a photograph. Many Smartphone Cameras have filters or settings to improve the effectiveness of your pictures. Whether it’s the Apple ‘portrait’ mode (similar to ‘selective focus’ on other phones) or other useful effects that you can use to add an element of fun or for refinement, clicking that gears icon and exploring your camera phone on the plane out may help you take some great pics whilst away. Your phone is an important part of keeping the memories alive, and uploading pics to the cloud if you have access to Wifi will help ensure you don’t lose them should anything happen to do your phone whilst you’re away. 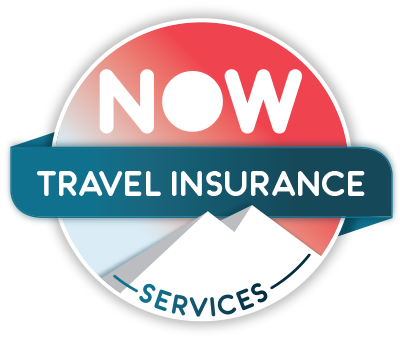 Of course another essential element to your holiday is your travel insurance, so that should anything go wrong you have access to assistance and compensation if you need it.